The latest album Uncut & Lo-Fi is a live album consisting of seven tracks from different live performances. The album title sums up the album. Reform was formed in 1998 as a Jam Band playing tunes from Miles Davis' 1969-1975 period and original music. Reform has throughout the years served as a musicians collective and has gone through many shapes. "Reduced & Maximized by Reform" Reviewed by RadioIndy.com! 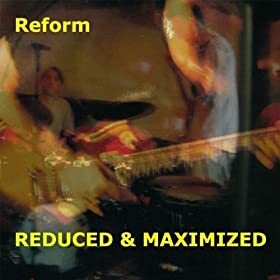 -The the talented band, Reform, creates an excellent collection of Progressive Jazz music on their latest album, “Reduced & Maximized.” The well crafted instrumental songs on this album are set to a laid back ambiance. Opening up the CD, the song, “Spooky,” is just what its title implies. It casts off a mysterious tonality as the guitar plays a melodic melody while the drums and bass follow up with a catchy tight riff. Another song, “G-Blues,” is quite soulful as the bass reels you in with a Bluesy riff and the guitar once again catches your ear with a wonderful melody. “Cream,” is a song that will stimulate your soul with its Rock style and edgy appeal. The last track, “Mountain,” has that same solid Rock allure and this song has a magnetic attraction. If you like an album that offers a little Jazz, Blues, and Rock, then the fantastic CD, “Reduced & Maximized” is just what you need to hear. They have been described as "Swedish psychedelic jazz-rock for the open minded." "uncut & lo-fi" Reviewed by RadioIndy.com! "uncut & lo-fi" is the 5th and latest release from the Swedish group of 9 musicians known as Reform. They have been described as "Swedish psychedelic jazz-rock for the open minded." But what this album really sounds like is excited instrumental psychedelic garage-rock that takes cues from jazz in its improvisation and sense of order. The opener, "Lion Bar," is a wild track with boisterous and echo-laced drums, plus a plethora of instruments and sounds that makes for an energetic clamor skillfully placed somewhere between music and noise. In "Uncle Urri 2" they slow things down with a more reserved blues beat overlaid with soulful, yet highly spacey, harmonica and guitar playing. For "Spooky" they give us a song that sounds like a blend of jazz and jam-band styled rock, recorded loudly in their unique "lo-fi" manner. If you are a fan of experimental instrumental music, or intrigued by garage-rock that dares to employ the methods of jazz jams, then Reform’s CD, "uncut & lo-fi," is an album you would certainly be interested in hearing. 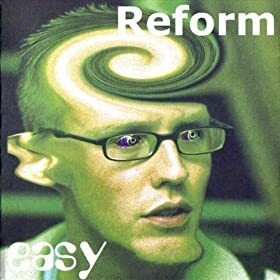 RadioIndy is pleased to present Reform with a GrIndie Award for the CD "Reformed "
Equal parts jazz and instrumental psychedelic / progressive rock, Reform’s debut CD, “Reformed,” charts a middle ground that ably fuses classic styles and influences - with an unusual twist. With a stellar 6-piece ensemble behind him, harmonica player Àlvaro Fernandez Gavíria’s full, lower-octave playing serves as a primary lead instrument for much of the album. With studied restraint, Gaviria’s tone – which recalls that of accomplished blues harp-stylist, Corky Siegel, approaches his instrument like a fusion-oriented Miles Davis, drawing out found harmonics within the framework of the band’s rich and melodic songscapes. Guitarists Johan Glasson and Peter Åkerberg create the underpinning for Reform’s – at times, Steely Dan-like jazz-rock sound, while drummers Anders Bergman and Åke Eriksson provide the forward thrust, effectively filling passages with deft and meticulous hits and textures. Not to go unmentioned, bassist Jesper Bergman and keyboard player, Magnus Ramel’s contributions are no less vital - and noteworthy, to Reform’s decidedly adventurous leanings. Regardless of whether it’s fusion jazz or spacey art rock, Reform’s CD is a terrific set of original music by unique players with unbounded skills. RadioIndy has posted our review! FANS - Please checkout Reform iTunes page play / purchase some great new music! RadioIndy is pleased to announced that we have published our CD Review of Reform music to CD Baby. 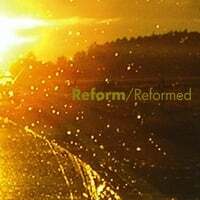 FANS - Please checkout Reform online! FANS - Please checkout Reform page and sample / purchase some great new music! RadioIndy is pleased to announced that we have published a music playlist and CD Review with Reform music (and similiar Big-Name Artists) to their Rhapsody artist page. Please note that the playlist will appear on the Rhapsody jukebox almost immediately, but it may take up to 2 weeks for the Playlist to appear on the Rhapsody.com online artist page. FANS - Please help our Radioindy artists by visiting their rhapsody page and playing their music to help generate royalties for the band. Anyone can listen FREE at rhapsody online (up to 25 songs per month FREE) without signing up for an account or even accepting a free tiral. More details. Visit Rhapsody online today and help our Radioindy Gold Artist eloah! You can also BUY MP3 downloads at Rhapsody as well. Rhapsody and Rhapsody online are registered trademarks of Real Networks, all right reserved. RadioIndy is pleased to announced that we have published our CD Review of Reform music to Facebook. Reform Press Release on Digg.com! Progressive, electric jazz blended with some psychedelic touches with a Swedish “roots” feel. Recommended if you like Phish, Miles Davis, Soft Machine.